Centrix solves the challenges of your practice by developing a wide array of devices, materials and delivery systems that make dentistry easier for you and your patient. 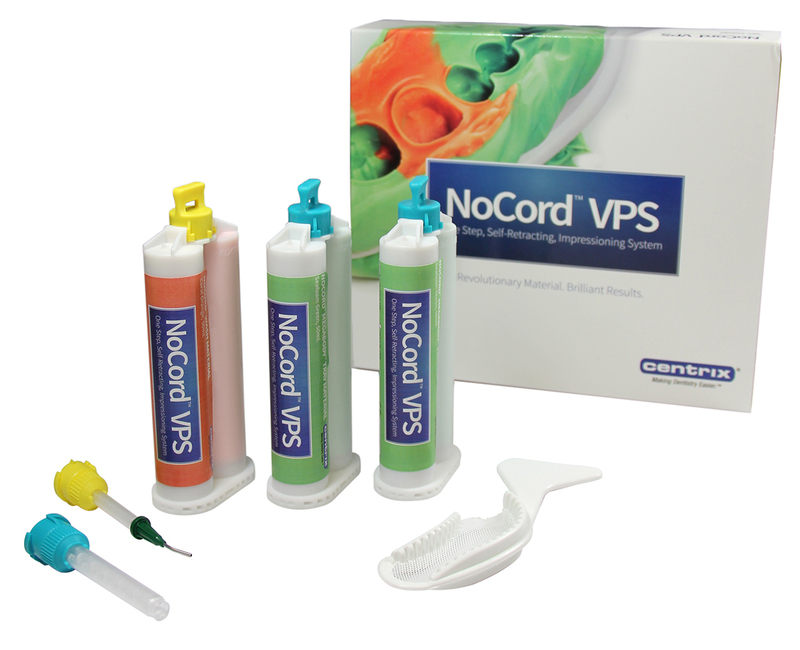 You know and trust the 200+ Centrix brands that have revolutionized dentistry -- like the first-ever composite syringe system, the unit-dose concept and a host of novel disposables. We are always looking for better ways and new ideas that will transform the practice of dentistry. The patient self-assessment form provides questions that help easily evaluate the patient's disease indicators, risk factors, and protective factors and provides a forum for the Hygienist to discuss next steps in oral health prevention, including fluoride varnish application. Centrix products are sold by authorized dealers worldwide! Find your dealer here! Don’t see your country listed? Contact us at 800.235.5862. Many different types of restorations are prepared throughout the day, each based on its unique requirements. That's why we designed the Tempit family to have a perfect material for each clinical temporary filling application. 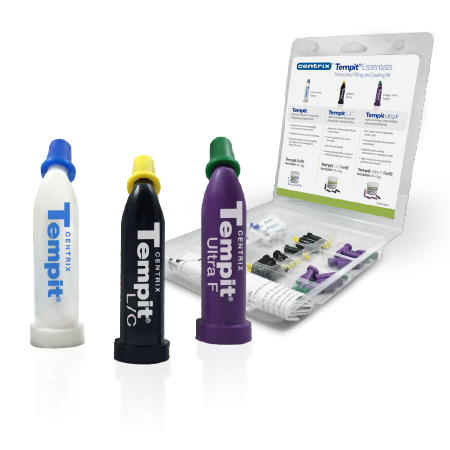 And every Tempit product is packaged in pre-filled, unit dose tips so it can be delivered directly, and precisely, to the prep. Using our Snap-Fit C-R gun (or any composite tip gun), you just snap in the right tip and apply. No more mixing, no spatulation, no messy placement - just perfect delivery every time. 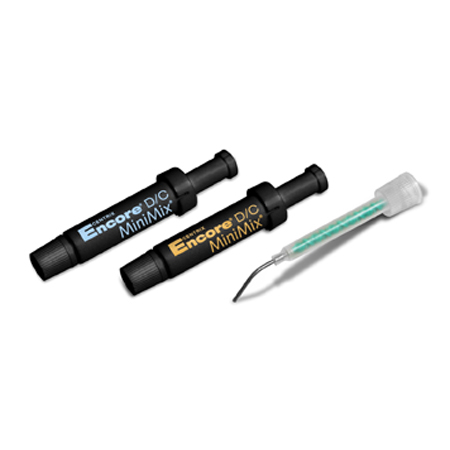 Our single-dose Encore D/C MiniMix kit contains 36 cartridges. Each cartridge has two mixing nozzles and our exclusive needletip. Our product is dual-cure, for fast light-activation initiation and then complete cure of all material. Plus, the smaller unit-dose tip size and ease of use will save you valuable chair time and reduce patient stress. 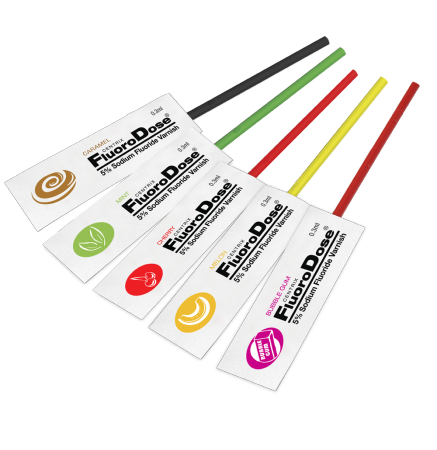 Available with fluoride release and in natural and contrast shades. Our Advanced Finishing and Polishing Cups and Points are highly-loaded with ultrafine diamond particles for superior finished surfaces providing more life-like reflectance and luster. 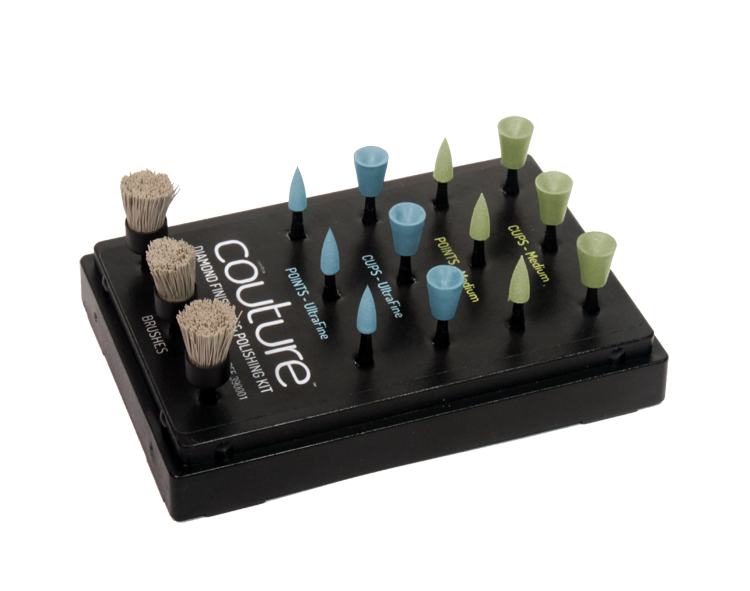 Couture Diamond Polishing Brush is made of diamond-filled cellulose filaments that change from hard to tissue-friendly ultra-soft through water absorption. 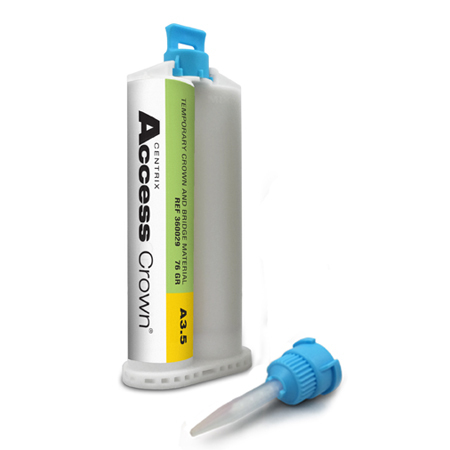 The primary clinical advantage of this bis-acryl composite is its elastic behavior during polymerization; it sets to an elastic-like state, ready for removal from the mouth in just one minute.